Make some extra cash! Just EMAIL A FRIEND or Family Member! 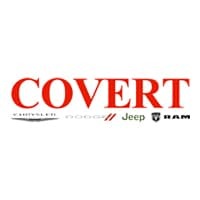 Fill out the form below or forward this page to your friends, family, and co-workers who might be looking for a new Chrysler, Dodge, Jeep or RAM vehicle or a quality pre-owned vehicle from Covert Chrysler Dodge Jeep Ram. If they purchase you receive a $100 referral fee.